“There is something life-affirming about Chetana’s Yoga for the Soul Retreats. My advice to those considering it is to just do it! Go wide, expose yourself, re-centre and recharge those spiritual batteries. Let budget concerns go out the window and inhale this unique experience. Go for the yoga, stress relief, health, ethereal mountains, food, cultural journey, humanhood – it doesn’t matter. Having just returned from Chetana’s Yoga For The Soul Retreats in Nepal, I can honestly say it has changed my life. It was everything I was hoping for and more. 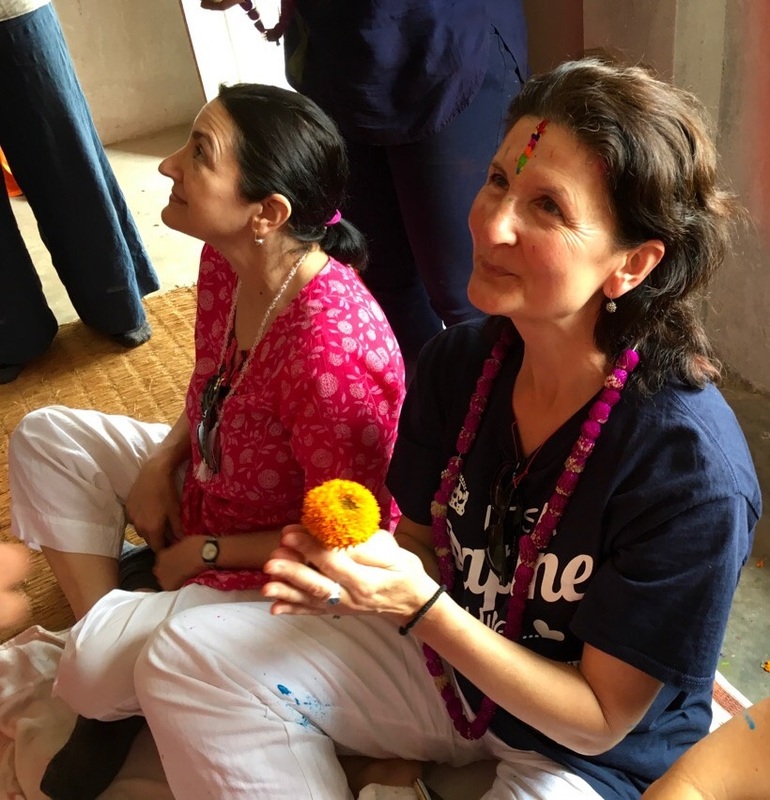 Each day began with Chetana’s yoga class which was delivered in a way that was nurturing, professional with so much experience and organic in her adaptation to our needs. The settings changed from beautiful indoor spaces to rooftops with stunning views of valleys, to the breathtaking snow capped Annapurna mountain ranges. The days then brought new adventures and experiences of this amazing country from circumambulating holy sites and stupas, to world heritage sites, a Tibetan Lama talk, exploration of a Buddhist monastery and trekking through beautiful villages, always greeted by the gentle warm smiles of the Nepalese people. Chetana’s attention to detail and our everyday needs was evident as was her dedication to a yogic way of life combined with love of travel and respect for the culture and traditions of the Nepalese people. One more thing that added to the fulfilment of this trip for me was the awareness of contributing to those in need such as a tour and cooking class at the organisation of Seven Women Nepal which empowers disadvantaged women, a visit to an orphanage and some shopping at organisations that also help the disadvantaged. I would highly recommend going on one of Chetana’s retreats, they can’t help but change your life.
" Chetena plans and leads her retreats with great love, attention to detail and a deep knowledge of Nepal. We had a simply wonderful time omming our way around Nepal, doing yoga in wood panelled sunlit rooms, on rooftops, in the shadow of great mountain ranges. We stayed in restful oases to recharged our batteries after the bustle of Katmandu streets, hilltop treks, and lots of bargain hunting. I appreciated her ethical approach to engaging local experts, women only trekking companies and supporting significant projects. Couldn't recommend this trip more highly." “If you’ve never tried Chetana’s yoga classes I suggest that you do!! Grab your mat and get ready for a class that offers the deepest most beneficial practice of your life!! Chetana’s experienced teachings offer an integral and thorough approach to balancing the body, mind and spirit. Expect a diverse range of practices, humour, some blissful singing and best of all - to feel self improved!!! Kayleen looking quite relaxed after her 90 massage at Jiva Cafe & Spa, Pokhara Nepal. "Yoga for the Soul Retreats experience was joyful, exhilarating and at times deeply moving. I feel gratitude to Chetana for the attention to detail in the planning of such a balanced itinerary. Her understanding, love and respect for the Nepali people was evident in the way in which the program was then able to evolve and unfold. I adored the daily yoga sessions accompanied by harmonium and tanpura (classical Indian instruments) in amazing and usually out of the way venues. Although I hadn't met Chetana or any of the group members I felt supported and at ease with every stage of the journey". Chetana curated a fascinating and spiritual yoga and cultural retreat that spanned some of the most interesting parts of Nepal. 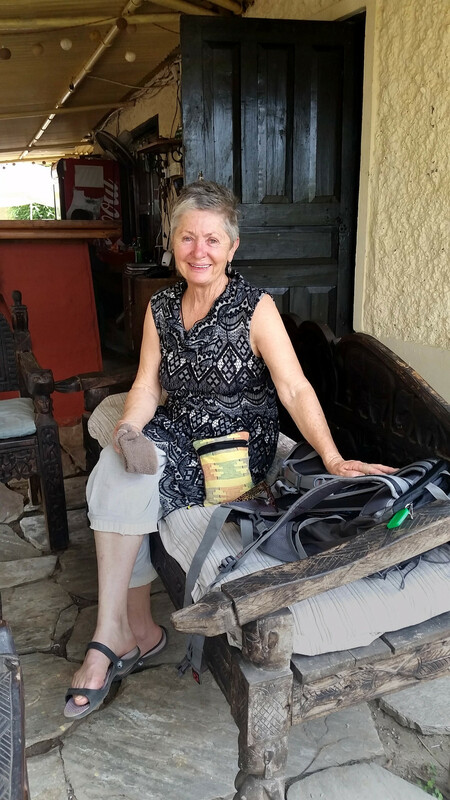 Her warm relationships with guides and hosts saw them going out of their way to please us. We experienced blessings from rinpoche’s and festivities in local homes. Chetana’s care and expertise even involved our daily yoga, breathing and meditation being geared to the other activities of the day. "This Nepal trip was awesome! Exciting, relaxing and educational. Chetana is an excellent yoga teacher and trip leader. 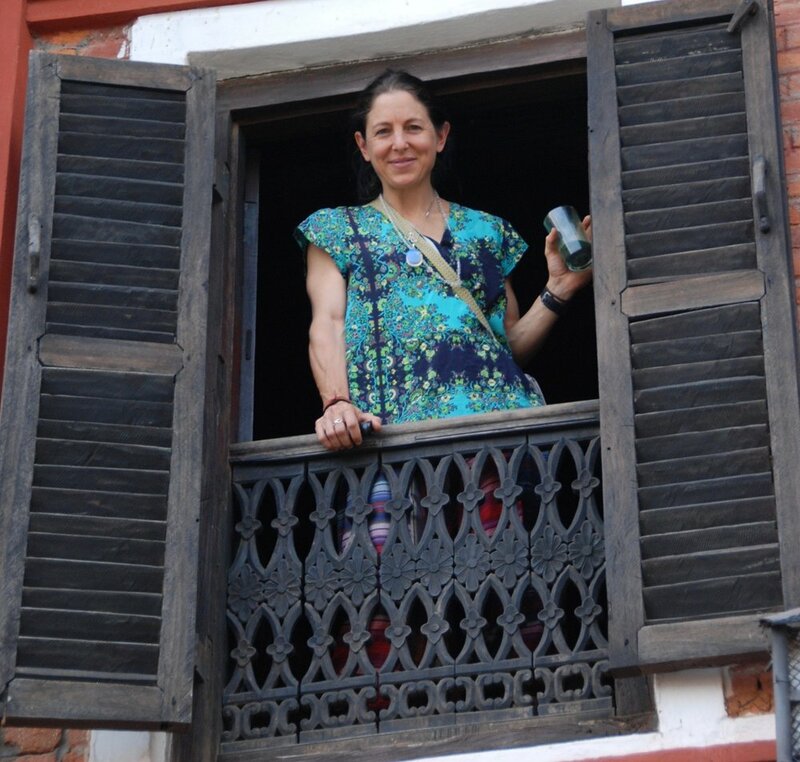 Due to her extensive experience and contacts she has taken us to interesting and fascinating places in Nepal. Nothing was a problem; plans were altered to suit all our needs in a very caring and supportive manner. I'm hoping to join the next tour in Bali - April 2017! 72yrs young, so suits all ages:)"
"Chetana’s local experience and understanding of the Nepalese culture enabled us to peak underneath the curtain that normally obscures the tourists’ view and experience a part of Nepal’s true nature – the beauty, kindness and spiritual nature of its people, who have so little. Weeks after the trip now, moments stay with me that touched me deeply; I hope they always do. A very special trip, thank you Chetana". "A truly memorable journey and experience I believe would never have been possible without Chetana's guidance. Such an authentic journey into the heart of Nepal. How privileged we were to be welcomed with such open arms by everyone we met from teashop owners, shop keepers who we enjoyed open discussions and the company of our giggling trekking guides and sharing the practice of yoga and singing kirtans with our guesthouse hosts and guides. Everything was so easy, enjoyable, natural, organic, adaptive, engaging and well organised. I look forward to exploring another corner of the world with Chetana under her extraordinary planning and careful loving eye." "I arrived feeling a little tired and not so inspired. Then as Chetana gently lead us through the practices, playing the tanpura and harmonium and chanting mantra, I could feel myself going into a more and more quieter, internalised space where I felt more connected and tuned into my body, breath, the sound vibration in my body and the collective sounds of all the other participants in the room we were in. By the end of the workshop I felt refreshed and energised and this feeling stayed with me well into the weekend." “The yoga retreat was incredible and has given me direction in pursuing it in my everyday life. Since, I have been doing yoga every morning on my own, it’s been really good in helping with anxiety and as a de-stressor. Janine, South Africa – December 2013. “Chetana’s classes are inspiring me more and more. Her, sometimes, no nonsense classes are taxing, but a joy and challenge.